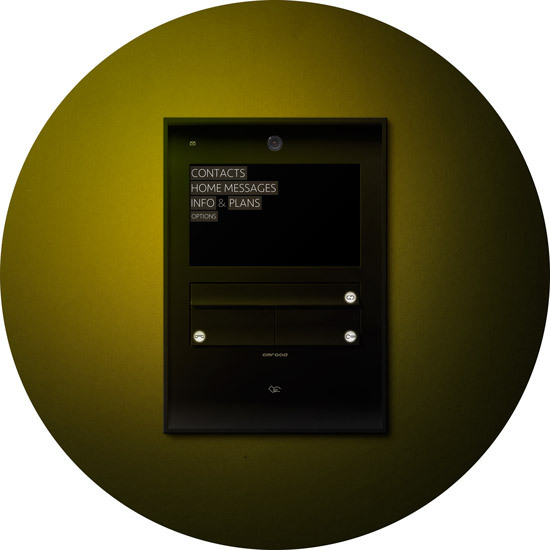 Amroad P9 has been created to be home’s main interaction point. Its 7″ touch screen displays a neat user interface completed by the backlit jumbo keys that make frequent actions practical and handy also at night. Amroad P9 shares the same elegant and minimal appearance of Amroad P3 forming a coordinated solution that seamlessly integrate into interiors. Specifically conceived for communities, Amroad P9 allows residents to enjoy one-to-one video conversations and get extensive, easily accessible information from community management. 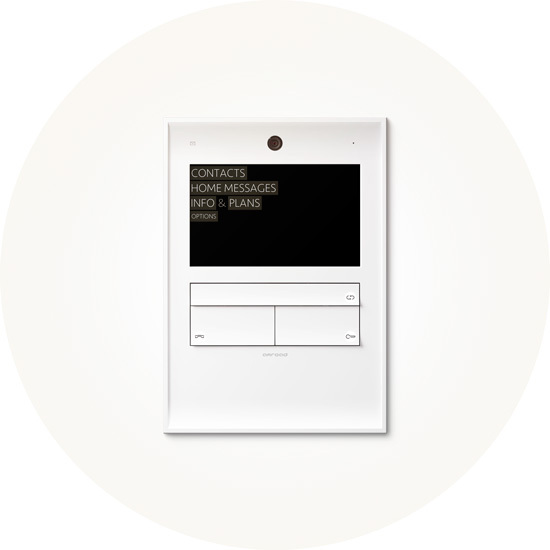 Door communication has been accurately developed to provide a rich yet intuitive user experience. Installation has been optimized for large communities and FTTH buildings.